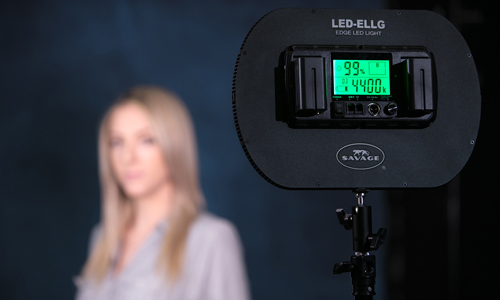 We love celebrating birthdays, and even better, capturing priceless moments on camera. 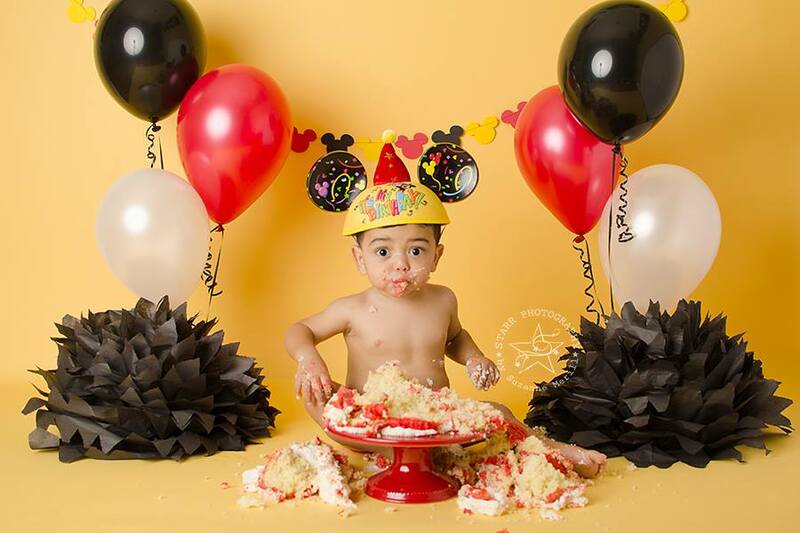 Cake smash pictures are a great way to do this and using Savage Seamless Paper Backgrounds make these messy photo shoots a lot easier. 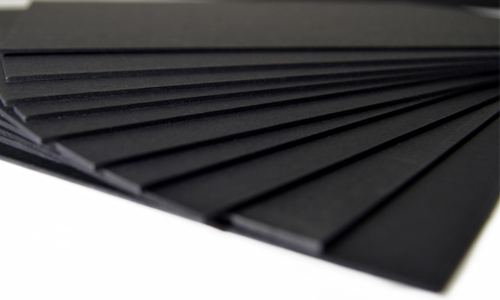 When you’re done having fun, don’t even think about cleaning up sticky frosting everywhere, just cut off the dirty few feet of paper and toss it! 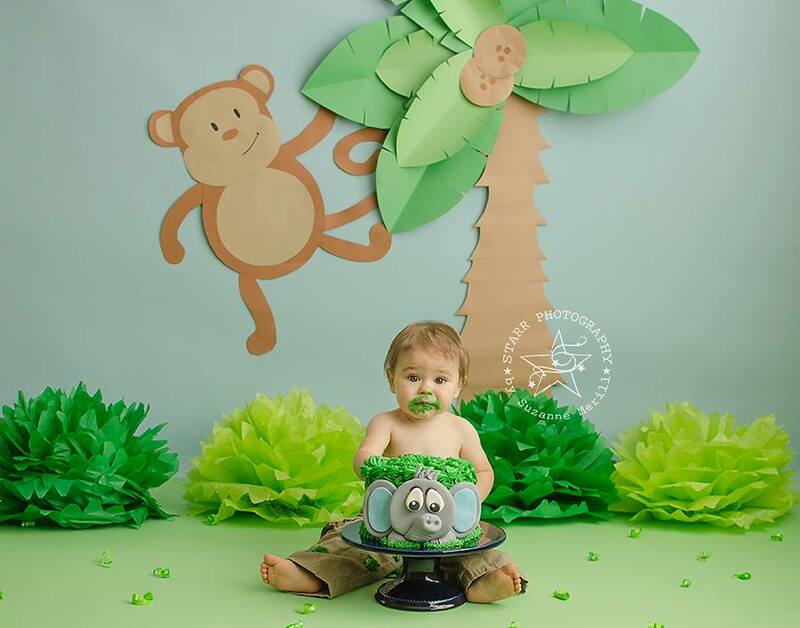 Little Tarzan in training here is pictured on our Mint Green Seamless Paper on the floor and Blue Mist Seamless Paper as the background. Who doesn’t love to monkey around at one year old? Ahoy sailor! 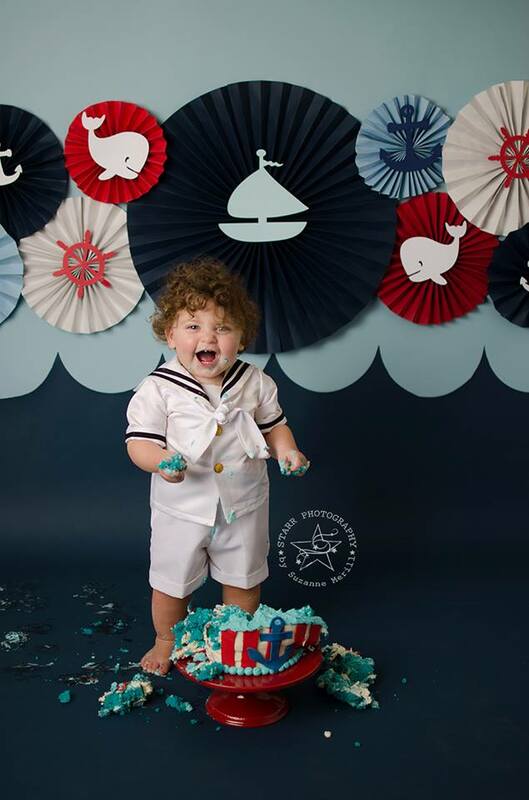 This super cute birthday boy is pictured on our Ultramarine Seamless Paper and Blue Mist Seamless Paper overlaid for a two-toned nautical look. 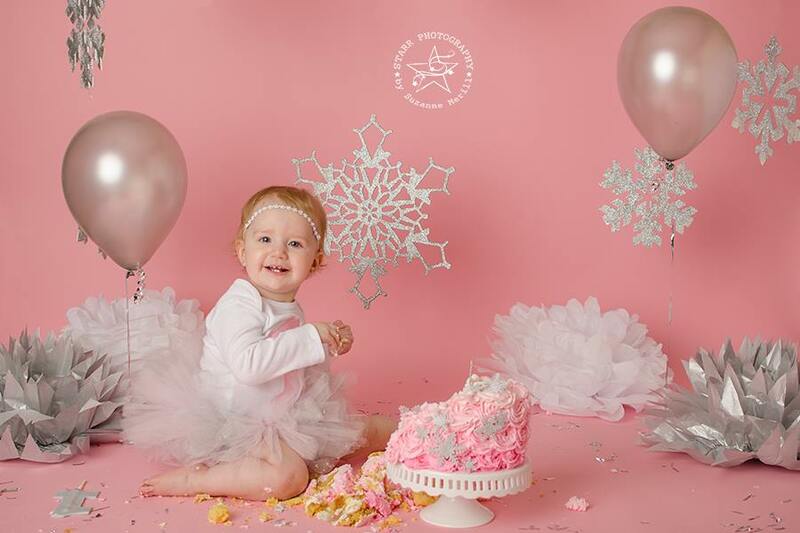 Say hello to this birthday princess who is celebrating on our Coral Seamless Paper. This picture really puts the frost in frosting! This adorable tyke is smashing his cake in style on our Deep Yellow Seamless Paper. 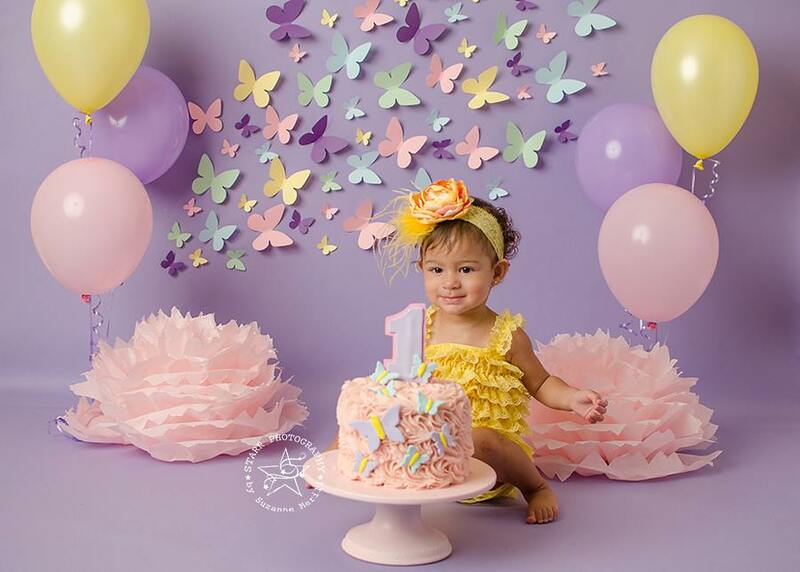 We are gushing over this flapper babe posing with her beautiful cake on our Orchid Seamless Paper background! 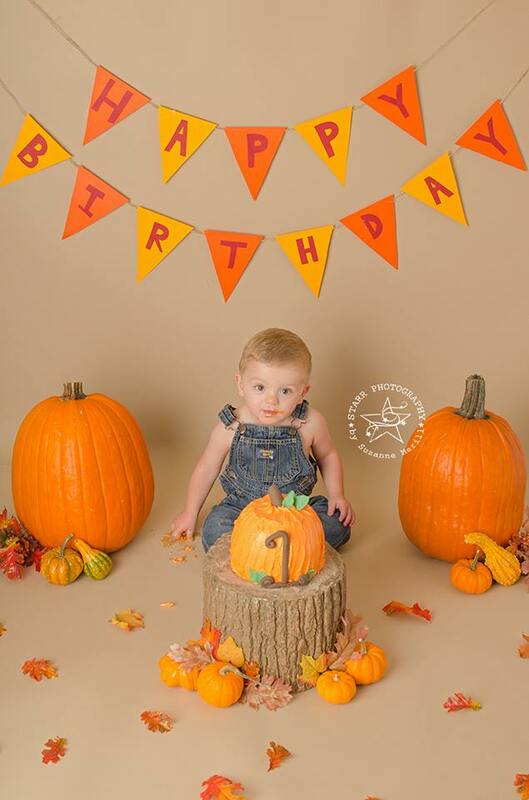 What better way to jump into fall than jumping into your 1st cake? This charming fellow is photographed on our Pecan Seamless Paper. 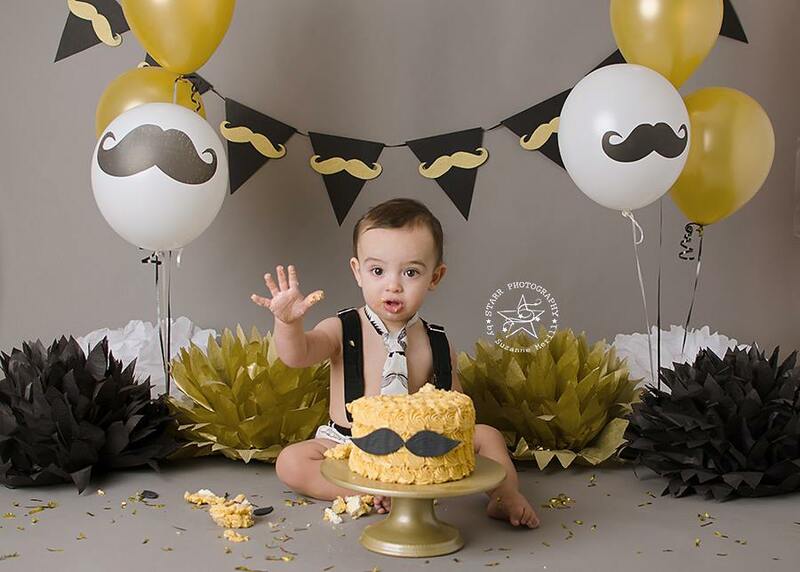 Wave to this dapper one year old who looks strapping with his amazing cake on our Storm Gray Seamless Paper. 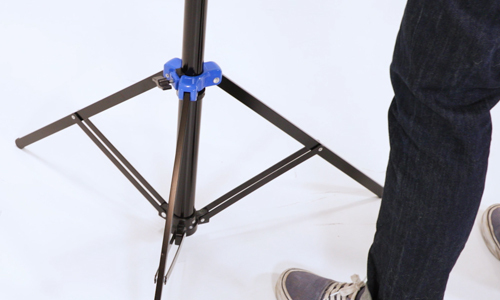 How often do you shoot cake smashes and what are some creative themes you’ve used? Professional Photographer and Studio Owner Suzanne Merrill of Starr Photography is becoming nationally recognized for her warm, rich, and unique style of photographing newborns in the New England area. Suzanne is often referred to as the "baby whisperer" and she won't photograph a newborn without her trusty "baby kryptonite". She loves smashing cake with her babies she's watched grow over the course of the year. Beginning to end, Suzanne is extremely passionate about her babies. 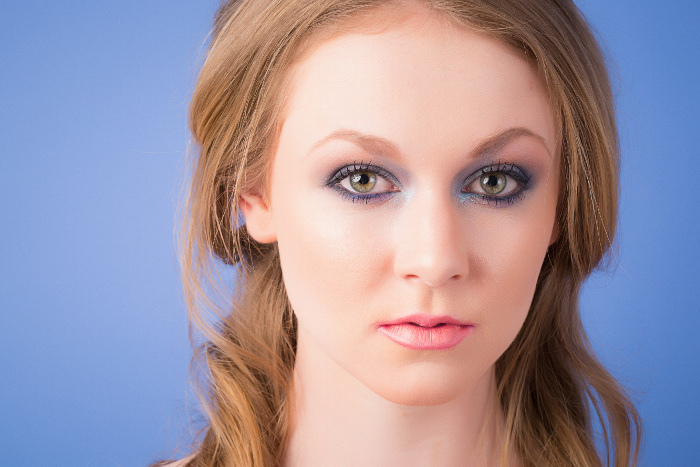 Suzanne has been creating memories out of her in home studio since January 2012, shooting with only natural light. 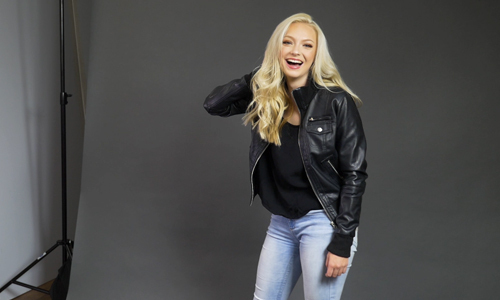 Suzanne has been in front of the camera since the day she was born, so it's fitting she has a passion to capture this life altering event in her clients' lives. 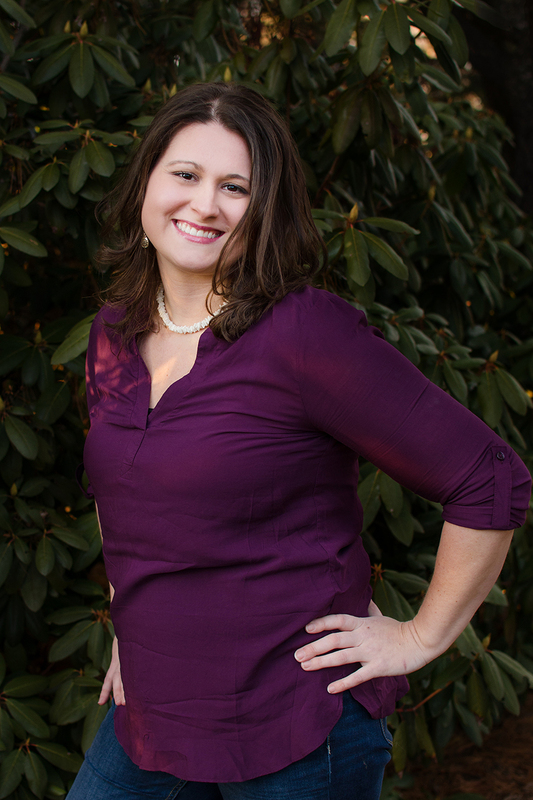 She specializes in Maternity, Newborn, and through the major milestones in your baby's first year of life. Then celebrates that first year with a fun and whimsical Smash Cake session. Suzanne loves connecting with people and through this connection she has started to teach her "ways of the force" to others in the newborn photography world. 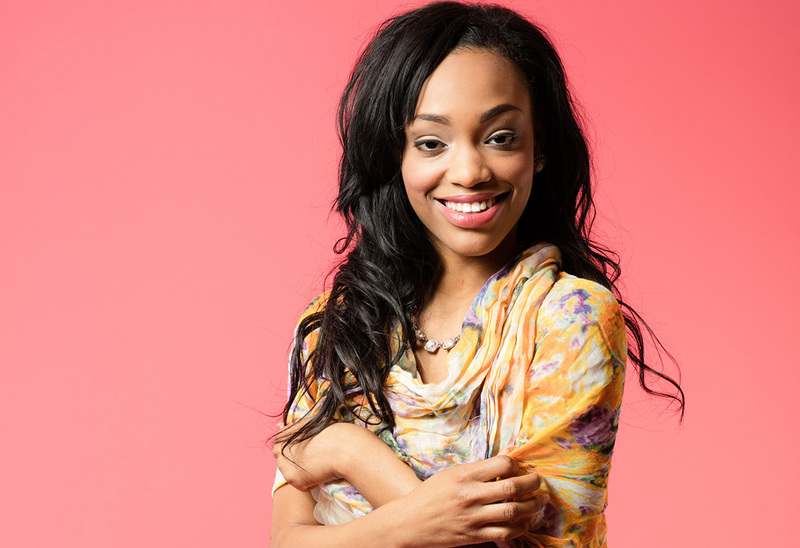 She is extremely involved in several online groups where she offers insight and advice from personal experiences. 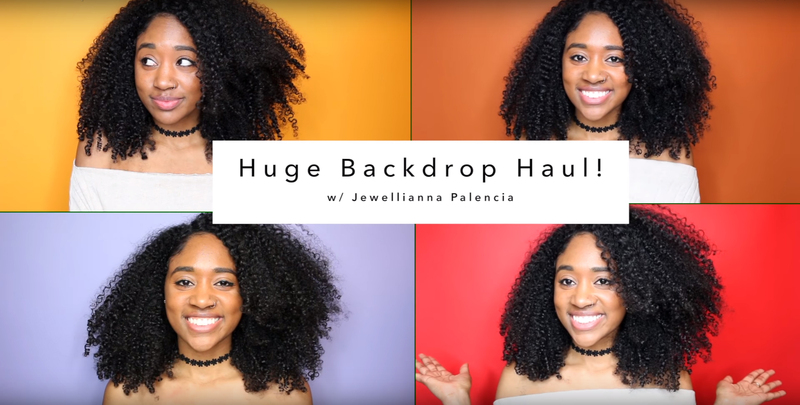 She offers online workshops and teaches in-person hands-on mentoring in her studio. Suzanne has been working with newborns since 2012 but has been capturing memories since 2008. She is a member of the PPA, IAPP, and IANP. Suzanne has had her work published in Newborn Magazine, Prop Insanity Magazine, featured on Best Newborn Photographer, and published in Child Photo Competition's Baby Boom. Where can you find the tissue ball accents? Hi Mike! Great question, probably your local big box or craft store like Target, Hobby Lobby, or Michaels! Suzanne, I’d love to connect with you more on social media. 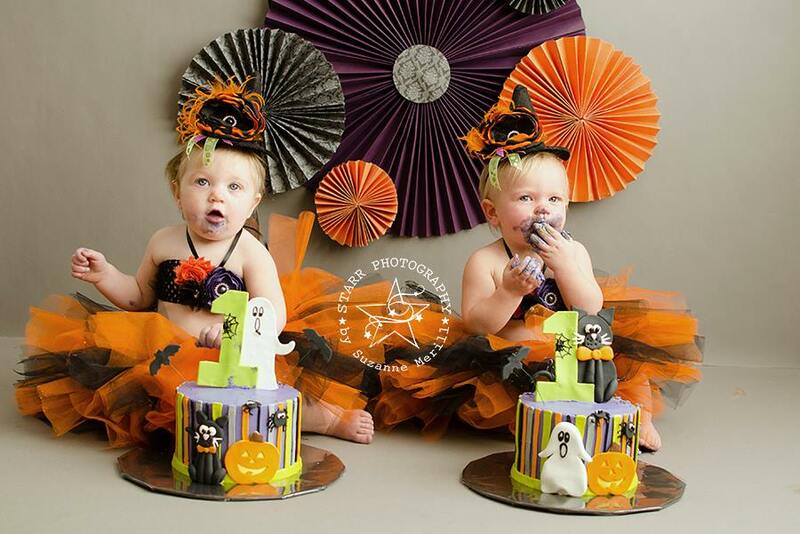 I’m shooting a `1 year old ( twins) smash cake on Saturday, March 25, 2018. Wish me luck! I’ve been warned that one of the twins just started crawling and will not sit still.